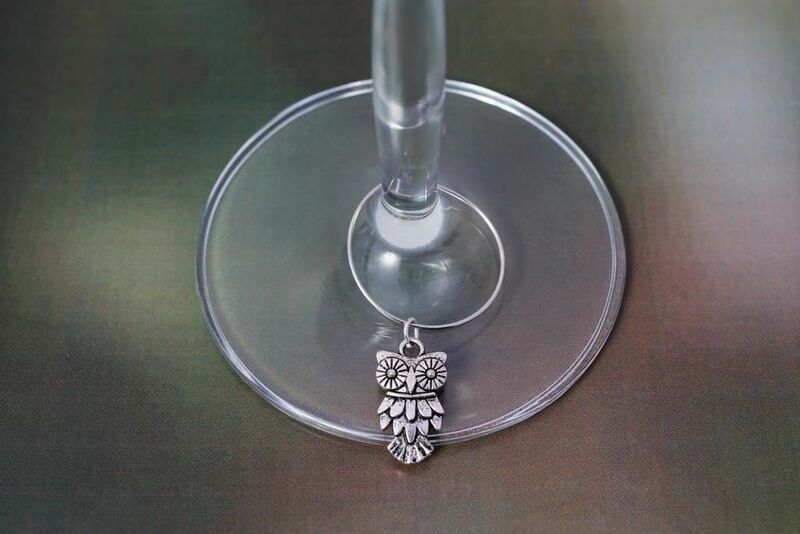 Enjoy your wine and Australias’ native wildlife with these stunning wine glass charms and you’ll never have to worry about losing your wine glass again. 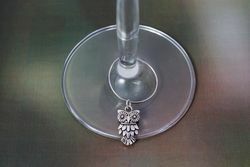 You can relax and have a hoot at your next party or bbq knowing this owl will quietly stand guard over your wine. 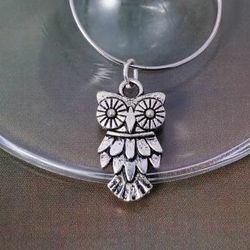 The charm is 7mm L x 2mm W x 20mm H. This owl is made from Tibetan silver and made into this beautiful wine glass charm here in Australia. Australia has 9 species of owl. Most owls are well known for their calls, but many species of Australian owls have some very unique calls. The Australian Hawk Owl makes a vague owl sound, the Mopoke makes a call that sounds similar to ‘more pork’ and the Barking owl, well it really does sound like a barking dog! Most of the other owls sit quietly, looking and listening for prey.